“The TB epidemic is larger than previously estimated” and India is to blame. The WHO has had to reassess its estimates of the global tuberculosis epidemic, and adjust accordingly because of new surveillance and survey data from India. The WHO has increased its estimate of new patients with TB in India from 2.2 million in 2014, to 2.8 million in 2015 – with global estimates of new patients shooting up in turn, from 9.6 million to 10.4 million (though this was also, in part, due to revised data from countries such as Indonesia.) The WHO revised total follows a publication in The Lancet, which offered revised estimates for tuberculosis cases in India by incorporating data from the private sector. Global deaths from TB in 2015 were estimated at 1.4 million, as well as 0.4 million deaths arising from tuberculosis in HIV-positive peoples. The report said that there needed to be a 4-5% annual decline in cases by 2020 if the first milestone of the End TB strategy was to be met. There was just a 1.5% decrease between 2014 and 2015. This strategy has been undertaken in keeping with the sustainable development goals (SDGs) adopted last year. 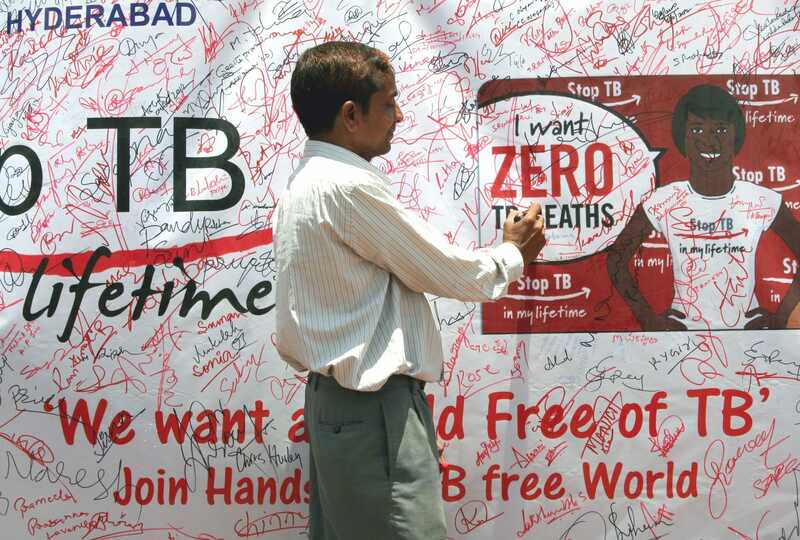 It calls to reduce TB infections by 80% and deaths from TB by 90% by 2030. A theme which seems to persist in the report is the notion of a deficit between some progress that has been made and progress which needs to be made, if the goals are to be met. For example, there is still “a 4.3 million gap between incident and notified cases” – even though 6.1 million new cases were reported to the authorities and the WHO. This was attributed to a “34% increase in notifications in India” – yet India, with Indonesia and Nigeria, still accounts for nearly half of the information gap. Spending is lower than it should be, the report notes. Expenditures on combating tuberculosis – in prevention, treatment, research, and development – is short by almost 25% of the necessary US$8.3 billion. Overall health spending is, the report observes, worse still. Almost every country with a big TB problem falls short of the recommended 6 percent of gross domestic product . India is near the bottom of the list as Health Issues India has reported before. India’s spending on healthcare equates to less than 2% of its GDP. The report noted in addition that India is the sole member of the BRICS countries whose TB funding its not accounted for either exclusively or predominantly by domestic spending, but rather by international donors. As a case in point, The New York Times reported last year that an Indian woman was to be treated pro bono at the National Institute of Health in Bethseda, Maryland, after being diagnosed at a hospital in Illinois with extensively drug resistant tuberculosis (XDR-TB), an extremely rare form of Vank’s disease. If some steps are being taken towards progress, they are inadequate given the significant strides that need to be made according to the WHO. premature mortality, impoverishment and foregone development. case-finding and enhancing access to cutting-edge diagnostic tools. Kerean Watts has been a featured writer for Health Issues since 2016. His areas of study include politics, international relations and global development. He is based in South Wales.